NOW SOLD! IN OUR WAREHOUSE! Won't Last - Will Sell Fast! 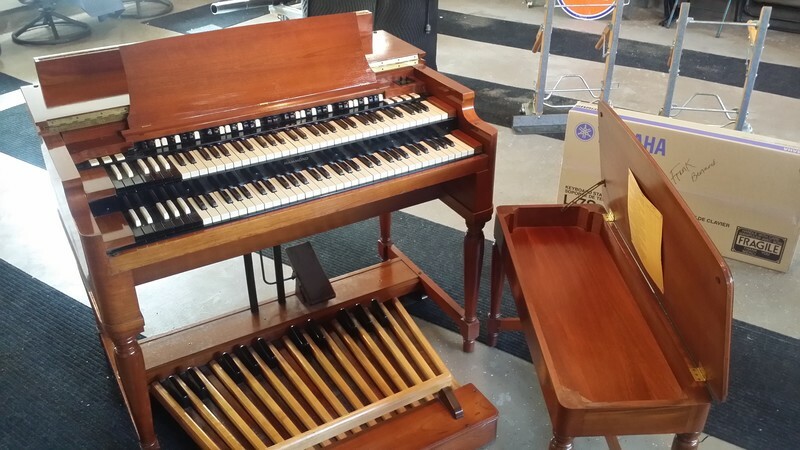 A Beautiful Cherrywood Vintage Hammond B3 Organ & Leslie Pkge! Plays & Sounds Perfect! Affordable Financing - 3/23/15 Now Sold! Gorgeous Vintage Hammond B3 Organ & Speaker Package Now Available! You Can Own This Hammond Vintage B3 Package For $139.00/Month! - In USA! Vintage Hammond B3 Organ & Leslie Speaker!